2012 - Selected in Gulfshore Life Magazine as the "Best Place to Explore the Waterfront". 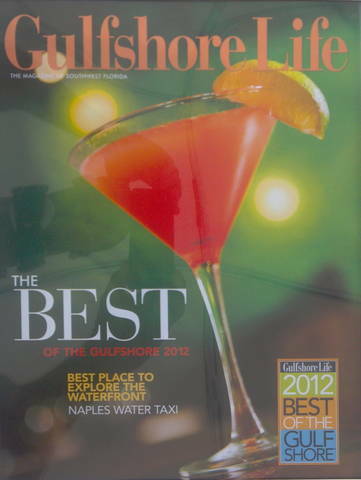 January 2012 - Gulfshore Life Magazine named us one of the "10 Best Nights Out" in SW Florida. 2012 HubPages - Named us one of the "5 Best Date Nights in Naples". Copyright 2009 Naples Bay Water Shuttle. All rights reserved.